On July 14th, 2014 the world lost blues legend Johnny Winter. Johnny passed in a hotel room in Zurich, Switzerland while on tour. What has been interesting to us while doing this 3 post set on but a few of the great blues legends is how diversified and different each one of this guitar players were. Being lucky enough to see all three of these gentleman live a few times it is our conclusion that when it came to slide guitar Johnny Winter stood out as the best. Not many blues players could fill a stadium like Winter did in the early 1970’s. As the producer and guitar player for the late Muddy Waters in the late 70’s through 1981 he was responsibly for bringing back to life the career of the “father of modern Chicago blues” and turn on a new generation to his music. As we all now that most of your 1960’s and 70’s biggest rock bands listed Muddy as one of there influences growing up. In 1984 Guitar Slinger came out on Alligator Records and the Blues Rock label that Winter’s music was being labeled as changed to just Blues music. To us this is when he started to play and record his best music. 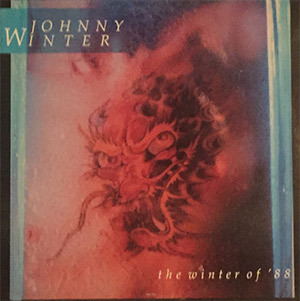 We chose Winter of ’88 for the cover label this week because all of our other Johnny Winter records are a bit trashed due to the all the abuse they have gone through being played so many times. In 2014 the Grammy’s posthumously gave him the “Best Blues Record” Grammy for his album Step Back. This would be his only Grammy Award for his solo work. He had three other solo records that he where nominated for awards but he didn’t win. However as the producer for Muddy Waters they won three Grammy’s. 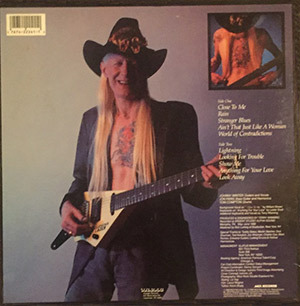 This entry was posted in Blues, Blues/Rock, Classic Rock, Forgotten Rock Classics, Forgotten Songs, Johnny Winter, Music and tagged Blues, Classic Rock, CS5711, Forgotten Rock Classics, Forgotten Songs, Guitar Slinger, Johnny Winter, Music, Record, Song, Winter of '88. Bookmark the permalink. One of the favorites from my past. Thanks for the information and the memories. 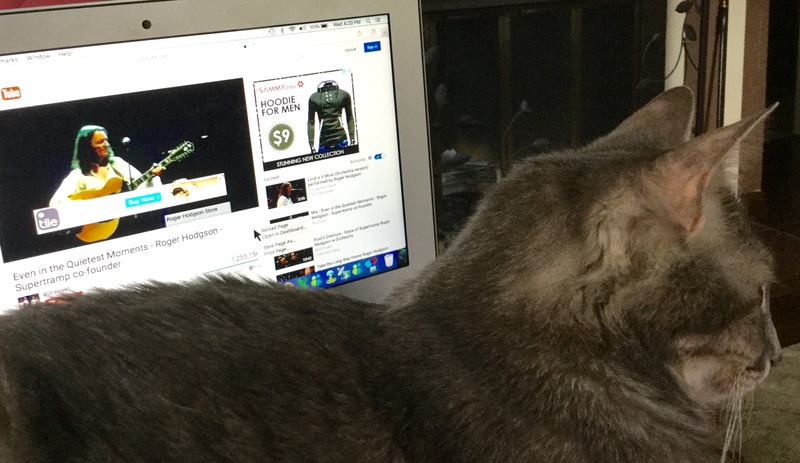 We are really glad that you liked the post. One of our favorite things about the blog is for us and some of our readers to flash back and remember some of the classic artists and songs from the past that over time we have forgotten about. In my younger days I went to lots of concerts, including Woodstock. I also played guitar and was into Folk. And my Dad had a Dixieland Jazz band. Lots of memories in music for me. Thanks. So jealous! I was a little to young to have the privilege of going to Woodstock. Sounds like you had a lot of fun in your younger days. Glad your Dad gave you the gift of music.There is nothing like teaching your kids the magic of good music. Our two girls say they hate Pink Floyd but they know the words to ever song and just yesterday we showed our youngest what it was like to hear a song in real “stereo” from her new car stereo by playing “Welcome to the Machine” and “On the Run” and having her sit in the back seat!